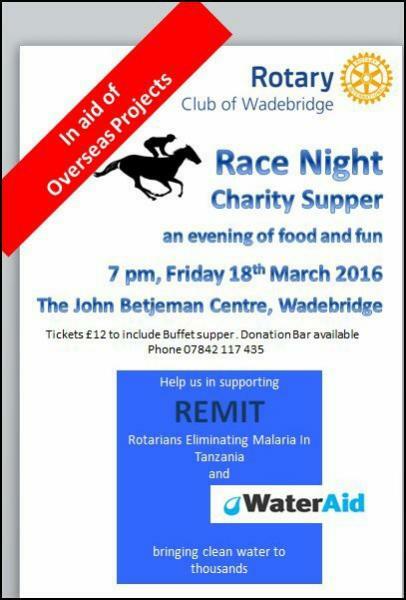 Wadebridge Rotary Club will be holding a Charity Race Night on Friday 18th March, at 7-00pm, at the John Betjeman Centre, Wadebridge. There will be a lovely buffet supper and also a variety of prizes. Tickets £12 from 0784 117 435. Proceeds to REMIT and Water Aid.